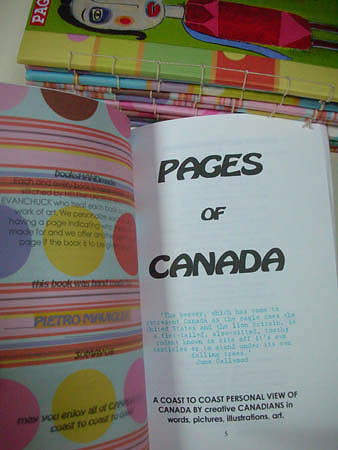 This is the first edition of PAGES of CANADA which will become a yearly event at BOOKSHANDMADE. 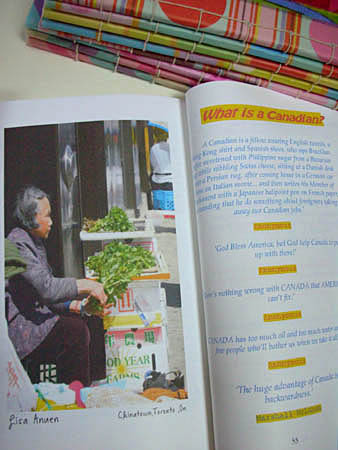 Every year well ask creative Canadians to contribute a page or two (yes weve had so many two page stories that we felt expanding it would be an option for the contributors.) So next year if you have a story that needs to be longer than one page, you got two. Were new at this so its a work in progress. 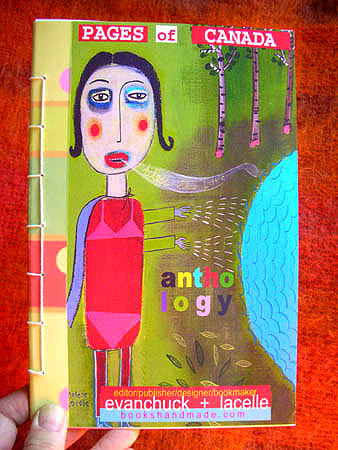 BooksHANDmade came about in a way due to the fact that Im a cancer survivor. Unable to do the more vigorous things, with a background in the writing/publishing field, wanting to contribute to this wonderful country, I figure publishing empire, Why not? With my amazing partner HELENE LACELLE away we go on to the yellow brick road looking for the wizard that makes life even more than it can be when your sitting still and looking at your troubles. 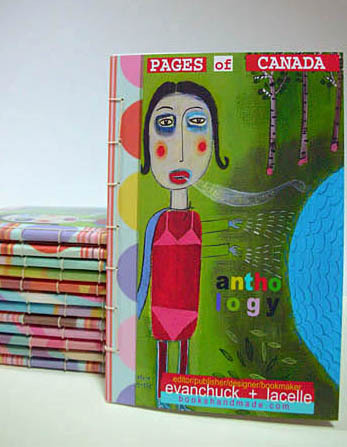 Each and every book is hand made, hand stitched by HELENE LACELLE and PETER EVANCHUCK who treat each book as a creative work of art. 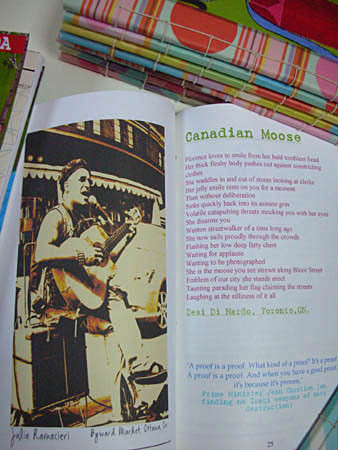 We personalize each book by having a page indicating who the book was made for and we offer another personalized page if the book is to be given as a gift. 'Very nice indeed.' Geo. G. Ottawa, On. 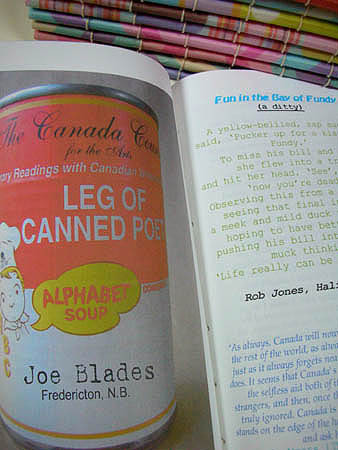 'A nice little piece of art with surprises..' Bob R. Regina, Sask. 'Wasn't sure what to expect since your books seems to have a nice sense of the unknown in them. 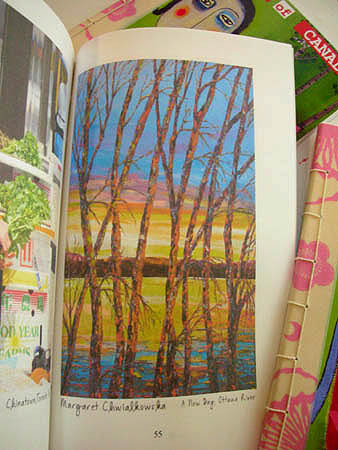 They certainly are little works of art as u suggest in your promo. Good little book happy with it.' Gordie M. Seatle, USA. Enjoy CANADA its a wondrous place!